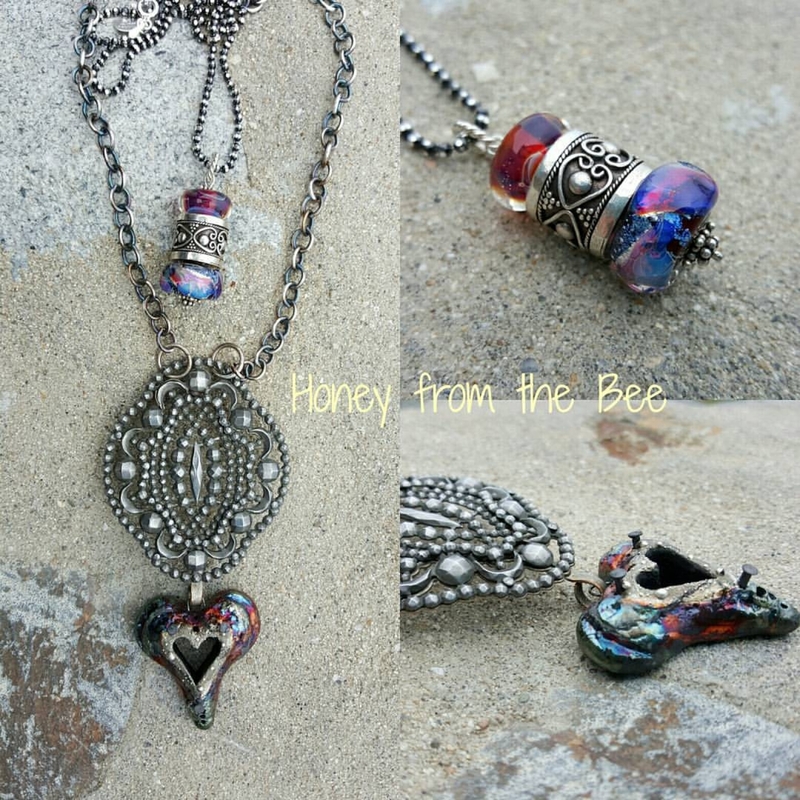 This sweet pendant is an artisan lover's delight. 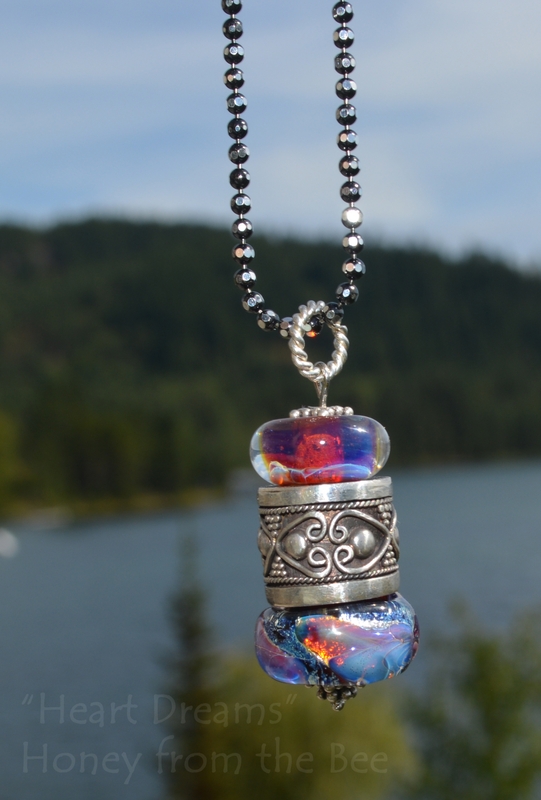 It features a Bali Silver (artisan quality sterling silver) barrel bead with hearts and granulation. 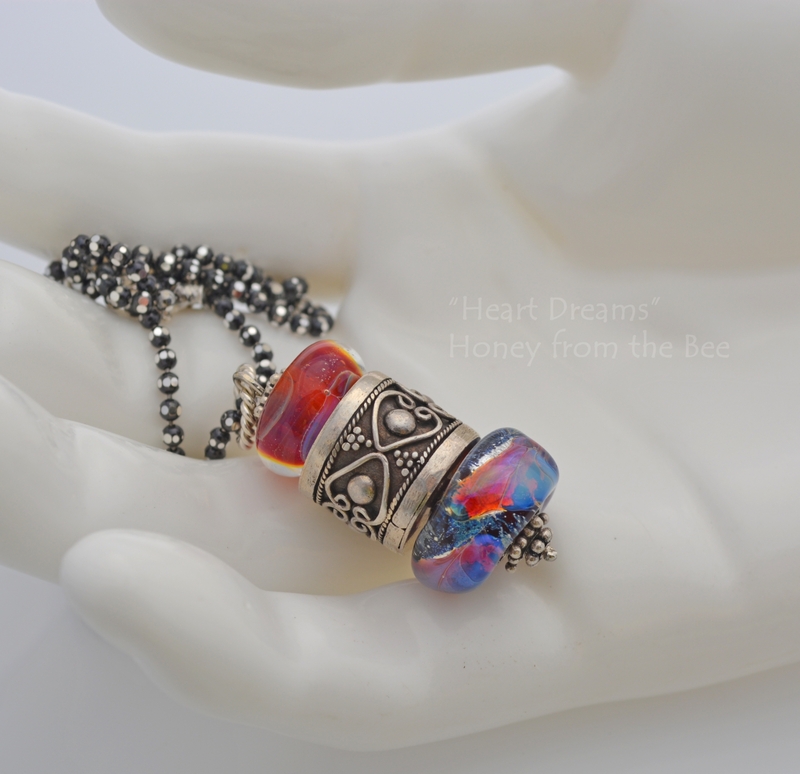 On either side of the silver bead are jewel tone lampwork beads. The top one is cranberry glass with a swirl of blue. The bottom one is one of Donna Millard's boulder opal glass beads. It indeed does look like boulder opal! Additional sterling silver beads and bale finish the piece. 20 inch faceted sterling silver chain. 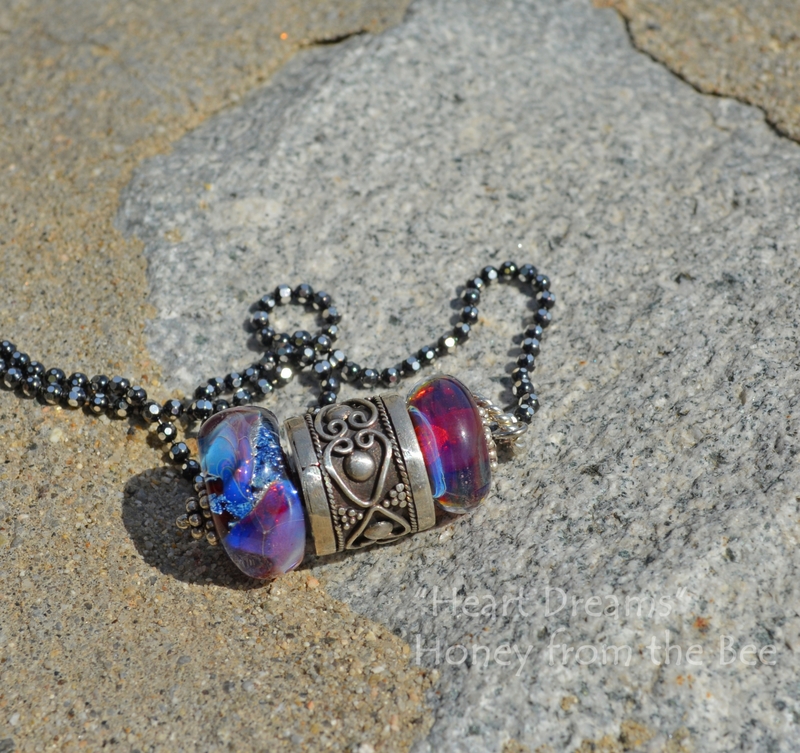 Pendant is just over 1.5 inches long from the top of the twisted jump-ring bail to the bottom. Note that the last photo shows this pendant with my Gothic Heart pendant available separately here. They look great layered together or worn on their own.